The following was originally published in the public domain as an ERIC digest: “A Survey of Educational Change Models. ERIC Digest.” [https://edtechbooks.org/-XLS] It is based on Ellsworth’s excellent book, Surviving Change: A Survey of Educational Change Models [https://edtechbooks.org/-BI], which is available for free online through ERIC. Change isn’t new, and neither is its study. We have a rich set of frameworks, solidly grounded in empirical studies and practical applications. Most contributions may be classified under a set of major perspectives, or “models” of change. These perspectives are prevalent in the research and combine to yield a 360-degree view of the change process. In each case, one author or group of authors is selected as the epitome of that perspective (Ellsworth, 2000). A small group of studies from disciplines outside educational change (in some cases outside education) also contribute to key concepts not found elsewhere in the literature. Everett Rogers, one of the “elder statesmen” of change research, notes that change is a specialized instance of the general communication model (Rogers, 1995, pp. 5–6). 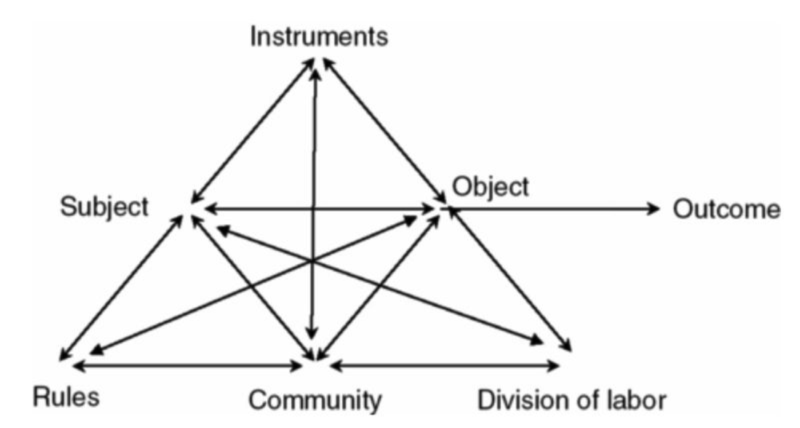 Ellsworth expands on this notion to create a framework that organizes these perspectives to make the literature more accessible to the practitioner (Ellsworth, 2000). Ellsworth’s framework might be summarized as follows: a change agent wishes to communicate an innovation to an intended adopter. This is accomplished using a change process, which establishes a channel through the change environment. However, this environment also contains resistance that can disrupt the change process or distort how the innovation appears to the intended adopter (Ellsworth, p. 26). By uniting these tactics in service to a systemic strategy, we improve our chances of effective, lasting change. We must strive to guide all our change efforts with a systemic understanding of the context in which we undertake them. Nevertheless, depending on the circumstance, or as the implementation effort progresses, it may be most effective to focus interventions on a particular component of the framework at a time. Anyone trying to improve schools, for example teachers, principals, students, district administrators, consultants, parents, community leaders, or government representatives may look to The New Meaning of Educational Change(Fullan & Stiegelbauer, 1991) to decide where to start (or to stop an inappropriate change). From there, read Systemic Change in Education (Reigeluth & Garfinkle, 1994), to consider the system being changed. Consider all assumptions about the nature of that system (its purpose, members, how it works, its governing constraints, and so forth). Question those assumptions, to see whether they still hold true. Look inside the system to understand its subsystems or stakeholders and how they relate to one another and to the system as a whole. Look outside the system too, to know how other systems (like business or higher education) are interrelated with it and how it (and these other systems) in turn relate to the larger systems of community, nation, or human society. The new understanding may illuminate current goals for the proposed innovation (or concerns for the change you are resisting) and may indicate some specific issues that may emerge. This understanding is crucial for diagnosing the system’s needs and how an innovation serves or impedes them. Now, clearly embarked upon the change process, read a discussion of that change process in The Change Agent’s Guide (Havelock & Zlotolow, 1995) to guide and plan future efforts. The Guide serves as the outline for a checklist, to ensure that the right resources are acquired at the proper time. The Guide will also help you conduct and assess a trial of the innovation in a way that is relevant and understandable to stakeholders. It will help extend implementation both in and around the system . . . and it will help to prepare others within the system to recognize when it is time to change again. At some point one must commit to a plan, and act. The Concerns-Based Adoption Model (Hall & Hord, 1987) provides tools to “keep a finger on the pulse” of change and to collect the information needed. The model’s guidelines help readers to understand the different concerns stakeholders experience as change progresses. This, in turn, will help readers to design and enact interventions when they will be most effective. Even the most effective change effort usually encounters some resistance. Strategies for Planned Change (Zaltman & Duncan, 1977) can help narrow down the cause(s) of resistance. Perhaps some stakeholders see the innovation as eroding their status. Possibly others would like to adopt the innovation but lack the knowledge or skills to do so. Opposition may come from entrenched values and beliefs or from lack of confidence that the system is capable of successful change. One way to approach such obstacles is to modify or adapt the innovation’s attributes. Even if the actual innovation cannot be altered, it may be possible to change the perceptions of the innovation among stakeholders. For example, instead of competing with them, perhaps it is more appropriately seen as a tool that will help others achieve appropriate goals. Whether one modifies the attributes or merely their perceptions, Diffusion of Innovations (Rogers, 1995) identifies the ones that are generally most influential and will help readers select an approach. Other obstacles may arise from the environment in which change is implemented. The “Conditions for Change” (Ely, 1990) can help you address those deficiencies. Possibly a clearer statement of commitment by top leaders (or more evident leadership by example) is needed. Or maybe more opportunity for professional development is required, to help the stakeholders learn how to use their new tool(s). Of course, this is not a fixed sequence. Involvement may start when resistance to an innovation is noticed. If so, begin with Zaltman and Duncan (1977); then turn to Reigeluth and Garfinkle (1994) to identify the systemic causes of that resistance. If you are an innovation developer, begin with Rogers (1995), then use the systemic diagnosis in Reigeluth and Garfinkle to guide selection of the attributes needed for your innovation. The professional change agent may begin with Havelock and Zlotolow (1995), to plan an overall change effort. The models are also frequently interrelated. For example, when modifying innovation attributes pursuant to Rogers (1995), one might make an IC Component Checklist (see Hall & Hord, 1987) to avoid accidental elimination of a critical part of the innovation. When assessing the presence or absence of the conditions for change (Ely, 1990), verify that the systemic conditions mentioned in Reigeluth and Garfinkle (1994) are present as well. While using the Concerns-Based Adoption Model (Hall & Hord, 1987) to design interventions aimed at stakeholders at a particular level of use or stage of concern, consider the psychological barriers to change presented by Zaltman and Duncan (1977). Much useful knowledge of the change process comes from other fields as well—particularly the business-inspired domains of Human Performance Technology (HPT) and Human Resource Development (HRD). Include these other knowledge bases as an involvement with educational change grows. Reach out to other disciplines to share experiences and to benefit from theirs. Reach across to other stakeholders to build the sense of community and shared purpose necessary for the changes that must lie ahead. The road won’t always be easy, and everyone won’t always agree which path to take when the road forks . . . but with mutual respect, honest work, and the understanding that we all have to live with the results, we can get where we need to go. The lessons of the classical change models are as valid today—and just as essential for the change agent to master—as they have ever been. Yet a single innovation (like a new technology or teaching philosophy) that is foreign to the rest of the system may be rejected, like an incompatible organ transplant is rejected by a living system. Success depends on a coordinated “bundle” of innovations—generally affecting several groups of stakeholders—that results in a coherent system after implementation. These are exciting times to be a part of education. They are not without conflict . . . but conflict is what we make of it. Its Chinese ideogram contains two characters: one is “danger” and the other “hidden opportunity.” We choose which aspect of conflict—and of change—we emphasize. Choose some kind of education innovation or theory (e.g. blended learning, OER, Flow, or Constructivism) and imagine you are introducing it to a school that has not used it before. What choices can you make to improve the likelihood it will be adopted? In your own words, explain why educators who are seeking changes should look both inside and outside of the system. Think of a change you recently initiated in your workplace, family, class, or another system. List in a two-sided table as many factors as you can think of that supported and resisted the change. Think of a time when an organization you were in underwent change (initiated by you or someone else). What model best explained their change process, and in what ways? Craig, R. (1996). “The ASTD training and development handbook: A guide to human resource development.” New York, NY: McGraw-Hill. Rogers, E.M. (1995). 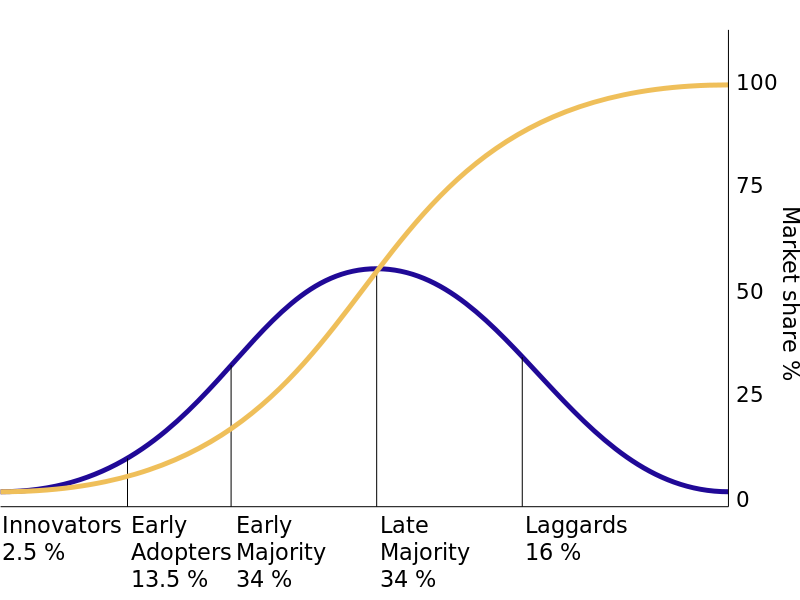 “Diffusion of innovations,” (4th ed.). New York, NY: The Free Press. Stolovitch, H., & Keeps, E. (1999). “Handbook of human performance technology: A comprehensive guide for analyzing and solving performance problems in organizations.” San Francisco, CA: Jossey-Bass/Pfeiffer. Zaltman, G., & Duncan, R. (1977). “Strategies for planned change.” New York, NY: John Wiley and Sons. Dr. James B. Ellsworth has received a Ph.D from Syracuse University in instructional design and devolvement, as well as degrees from the Naval War College and Clarkson University. He currently teaches educational methodology at the U.S. Army War College after coming out of retirement. During his thirty year career he has focused on topics such as blended learning, educational change, and national security. 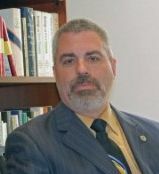 Dr. James B. Ellsworth joined the faculty of the U.S. Naval War College in the summer of 2000, following a variety of assignments in Armor and Intelligence education and training. He completed cadet training with the Civil Air Patrol (USAF Auxiliary), earning the rank of cadet colonel, and he is a distinguished graduate of the Army’s Military Intelligence Officer Advanced Course and the Navy’s College of Naval Warfare. He holds a bachelor’s degree from Clarkson University, a master’s from the Naval War College, and master’s and doctoral degrees from Syracuse University. His specialties include Military Intelligence, Information Operations and Defense Transformation, and he teaches the resident elective on the Future of Armed Conflict.